L-theanine is an amino acid found naturally in green tea (Camelia sinesis). For centuries, green tea has been used in Asia for its calming properties, as well as its health promoting effects. * L-theanine may be one of the larger contributing constituents in green tea that supports feelings of relaxation without drowsiness. 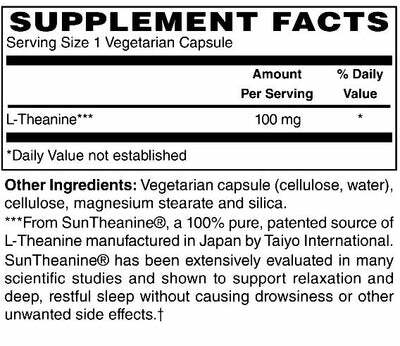 How does L-theanine support health?